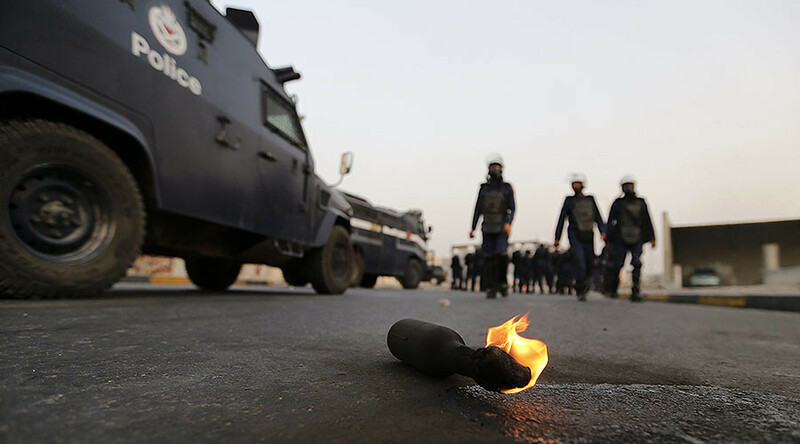 The human rights black hole no one wants to talk about for fear of exposing imperialism fingerprints, Bahrain has died a thousand oppressions under the unrepentant gaze of western capitalism – the monarchy to be sustained so that a region could be tamed. Bahrain has officially gone backwards in its reform process. In a last-ditch attempt to crackdown on the opposition, the al-Khalifa monarchy has now chosen to tighten its grip on the kingdom by giving its security apparatus exceptional powers against all dissidents. The term 'dissident' here applies to whoever imagines oneself free. 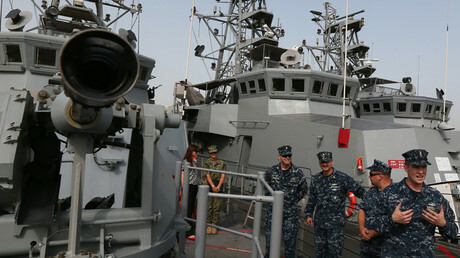 On January 5, Bahrain's public prosecutor, Ahmed al-Dosari, announced in a decree that officers, non-commissioned officers and members of the tiny Persian Gulf kingdom's domestic spy service, the National Security Agency, were granted arrest powers "limited" to terrorism cases, the state-run Bahrain News Agency reported. While it is likely Bahrain’s run-in with brutal oppression and unpalatable barbarism has escaped your news feed, that is unfortunate because for five long years the kingdom island has burnt under the fire of theocratism, failing to manifest into political reality a people’s democratic dream. Bahrain is simply too much of a geopolitical pressure point for our western capitals to consider losing it to political self-determination. The reason is that Bahrain offers an invaluable military vantage point against the rising might of the Axis of Resistance, this grand monster western imperialism fears more than the plague itself since it speaks of liberation and socio-political empowerment. And then of course there is this little thing we call the 'World Oil Route'. 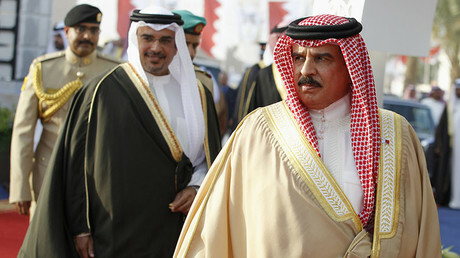 However tiny Bahrain may be, its territory serves as a tactical buffer to Iran’s ever-growing gravitas. Understand here that I speak of political inspiration and not political or religious hegemonism. Tehran is not trying to export its revolutionary model to the rest of the world; it only stands in support of nations’ right to choose for themselves what future will be theirs. Once upon a time, the United States was also erected under such premise. For all the grand standing and moral misnomers Washington and London have spewed into our airways over the years - speaking about 'counter-terrorism' and 'pro-democracy building' as one would distribute candies on Halloween - it is painfully evident that profits, combined with an imperious will to militarize the Middle East, have driven the proverbial realpolitik bus. Allow me to clarify one important point: Bahrain’s democracy movement was thrown to the sharks in exchange for territorial access and lucrative military contracts… What a shocker! If anything, western powers are consistent in their methodology and drive. I’d like to think that by now reading through the thick gloss which is western media manipulation has become a simple intellectual exercise. 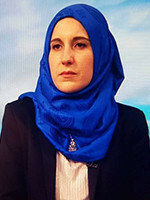 And yet Bahrain appears to have slipped under the crack of our outrage – its oppression unacknowledged, its fight misunderstood and its revolutionary mislabeled. Bottom line: Bahrain’s democratic awakening was painted with the brush of misapprehension so that nations would fail to read in the rise of a people, the coming demise of a wannabe theocratic empire, that of Wahhabist Saudi Arabia. Do not let Bahrain’s size fool you. This one revolution stands to explode Riyadh’s monarchical hold over the Persian Gulf and disappear western capitals’ ambitions in the region altogether. Hence the need to crush Bahrainis’ cries for independence and freedom. Now that I have clarified this point allow me to deconstruct Saudi Arabia’s very own repressive narrative. May I dare say that Bahrain’s fate could befall any nation falling prey to the dogmatic political construct that is Wahhabism. So thank you London and Washington for playing maestro to monarchical supremacism! Bahrain, it needs to be said, was not always a democratic wasteland. Back in 1973, some of Bahrain’s religious and intellectual elite, among which Sheikh Isa Qassim, successfully laid out the premise of democratic change by enshrining political representation within the tenets of the constitution. Theocratic Saudi Arabia was not exactly keen, and thus began a long draw-out thaw in between the ambition of one Riyadh-sponsored al-Khalifa monarchy versus an aspiring free folk. Fast forward a few decades and Bahrain’s once parliamentary monarchy has been transformed into a violent Wahhabist Saudi client state. But the crazy train did not stop there. Since Bahrainis committed the great offense of being Shia Muslims - a crime punishable by death in Saudi Arabia’s perverted worldview - Bahrainis would have to be reformed, and in blood and tears redacted from the fabric of society. To the tune of a denaturalization campaign and en masse naturalization of foreign nationals, al-Khalifa has worked to reinvent Bahrain’s ethno-religious make-up – a crime the United Nations only meekly mumbled against. May I dare say religious genocide? Of course, Bahrain’s adherence to Shia Islam was used as both a catalyst and a rationale to portray a people’s democratic ambitions as an elaborate Iranian plot. When all fails why not call sectarianism hell-hounds right? Why not indeed. But here is where Riyadh’s narrative fails: how can we talk about a Shia takeover, or an Iranian imperial plot, when 1. Bahrain has always been majority Shia, and 2. Bahrainis are calling for fair political representation away from foreign diktat? Truth be told, protests in Bahrain are genuinely societal in seeking reformations, and objecting al-Khalifa political and economic corruption led by the authorities. Like all Gulf monarchies, al-Khalifa have enshrined their power in nepotism and pandemic abuses. I would say that al-Khalifa’s descent into the abyss of repression has been compounded in its hatred for Sheikh Isa Qassim – Bahrain’s most revered cleric and pro-democracy champion. If not for his supporters’ determination to stand guard before his residence it is likely Sheikh Qassim could have suffered a fate similar to that of Sheikh Nimr al-Nimr, who, in January 2016, was beheaded by Saudi Arabia on account of his activism. Under military lock and key, courtesy of al-Saud, Bahrain was transformed into a grand penitentiary complex under the watchful eye of both Washington and London – theo-fascism’s most loyal handmaidens. For all the fury the kingdom has thrown at Bahrain and the lead western capitals have volunteered by way of military contracts, Bahrain has yet to waiver in its democratic determination. When will nations learn that oppression has a way of crystallizing absolute resistance? In conclusion, I will say this: Just like Yemen stands to disappear Riyadh’s military ambitions, Bahrain has the potential of exploding al-Saud’s monarchical complex and in resistance give rise to a new political paradigm.